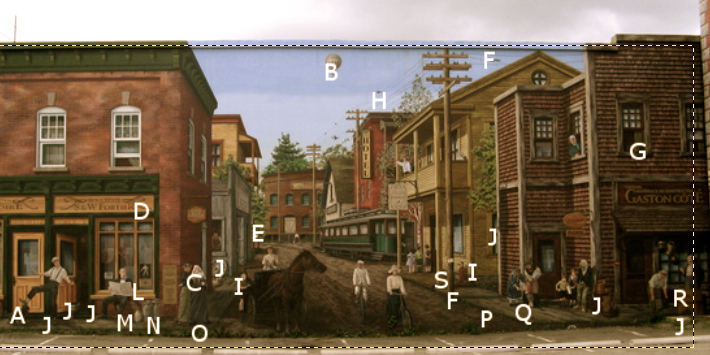 This is the second mural at the corner of the King Est and Bowen Sud Streets, it covers a total of 4 644 square feet. 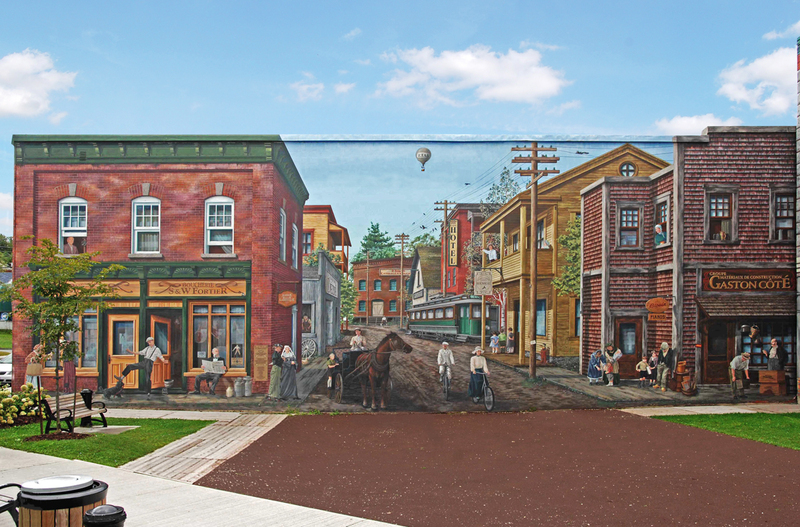 Like its neighbouring counterpart, this mural portrays local life in the eastern district, but this time at the end of the 19th century. MURIRS shows Sherbrooke, a manufacturing city welcoming new technologies: electricity, home telephones, tramways, cars, airplanes and the daily press. Several personalities, some well-known and some unknown, from the eastern district of Sherbrooke are also shown. Progress in the East - Search and Seek!